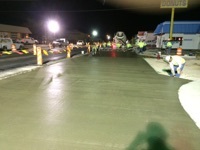 Southwest Concrete employs personnel that specialize in civil concrete construction. 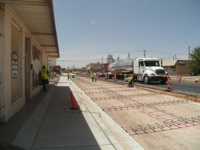 By training a job specific crew these gentlemen can accomplish their job much faster without compromising excellence. 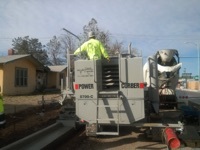 We utilize Gomaco GT 3600’s, and a Power Curber 5700C curb machine. 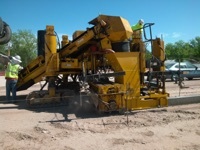 Our operators receive machine particular training, giving them the ability to handle problems that may arise on any job site. 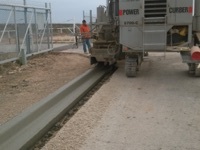 This provides us with the ability to handle several jobs simultaneously and still provide our customers with the quality they have come to expect from Southwest Concrete. 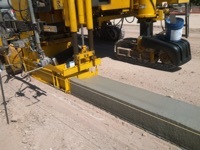 We utilize many different methodologies for paving; Truss screening, laser screening, vibratory screening, and roller screeds.